Want to Burn Some Cash? These Luxury Blogs Have Got You Covered! These fantastic lifestyle blogs show you how to live your luxurious life to the fullest. Some of these gems even offer extra perks, such as a bespoke concierge service and even an online store. And whether you are a nomadic jet-setter or a discerning gourmand, these luxury blogs should be a perfect fit! Aspiring Gentleman is a luxury lifestyle blog for men that caters to a wide array of tastes and inclinations. Whether you are into fashion, fitness, travel, tech, food, cars or sports, you’ll find something that interests you here. With stories like “7 Incredible Mansions on Sale Right Now Around the World,” Discover.Luxury does exactly what its name implies: allow you to discover some of the best luxury experiences around. 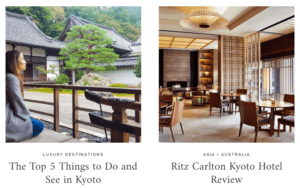 But, that’s not all, the blog also features travel and shopping guides; fashion news; the best culinary spots; the latest luxury furniture; and a whole lot more. For the UK high fashion enthusiast, A Fashion Fix is a must-read blog run by Hannah Crosskey. Get the latest news on what’s hot in the fashion world—from the latest footwear trends, to jewelry, and more. Beyond fashion, you can also find some articles on travelling, hair care, and even the occasional gift guide. Men’s Gear, as the name suggests, is a “digital magazine” that primarily focuses on luxury stuff that would make any man smile. It’s got articles on the latest high-tech gadgets, luxury watches, and motors, for starters. Beyond that, men who love to look sharp for any occasion will no doubt love the various articles on the latest fashion trends. Well-written articles on travel, architecture and food are also on tap. Mary Hop—run by VIP flight attendant Mary Kalymnou—focuses mainly on luxury travel and lifestyle articles. 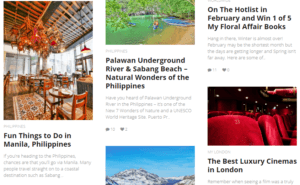 Get travel tips; travel stories; the latest fashion trends; the most happening food destinations; reviews; and even an e-commerce shop where you can buy books, bags, gadgets and other knickknacks. Being a recent lotto winner, there’s no greater temptation than to let loose and indulge in your wildest fantasies. But, that doesn’t mean doing anything illegal! The London Sinner—a.k.a. Elsa Messi—curates some of the most interesting events, mouth-watering food, and irresistible deals within London so you can indulge without breaking the law. What’s unique about this blog is that, as the name implies, each post is categorized under a specific deadly sin: Greed, Gluttony, Sloth, Vanity, and Lust. It has a certain edge to it while keeping a fun—and slightly naughty—vibe. 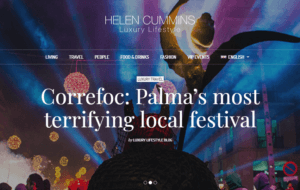 Expertly curated by luxury lifestyle editor and successful entrepreneur Dr. Helen Cummins, the articles you’ll find in here are as varied as they are interesting. Read up on unique architecture, travel guides, the latest boutique hotels, food & drinks, luxury fashion trends, VIP events, and more. Luxury Lifestyle is exactly about what its name tells you—living the luxurious life. Jetset Christina is all about travel—as well as the epicurean experiences that go along with it. 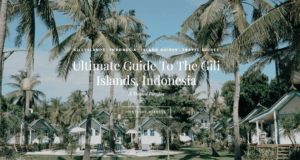 Run by Californian Christina Vidal, who has traveled to over 55 countries, this lifestyle blog showcases her best globetrotting stories. Get to know the best travel destinations, food spots, and more. Gentlemans Butler doesn’t just offer a wide array of articles on travel, style, food, fitness, and other topics worthy of a discerning gentleman, they also offer a unique bespoke concierge service. The Luxury Consultancy can provide a chauffeur, cleaning services, personal styling, and a whole lot more. Essentially, it’s like having your own butler. What’s the point of having money to spare if you don’t break out of your comfort zone and explore the world around you? 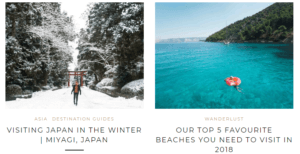 World of Wanderlust, run by blogger Brooke Saward, takes you on a journey all over the world via well-written travel articles– ranging from guides to hotel reviews and beyond—peppered with professional photos. It also features articles on other topics as well, like food how-to’s, DIY projects, and more. 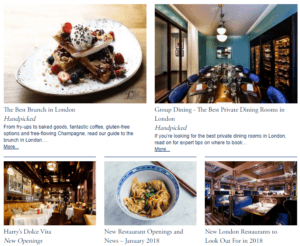 Bon Vivant, one of the leading luxury concierge services in London, also offers a blog called The Journal—which is where you can read up on travel, luxury dining experiences, spas, exclusive events and more. 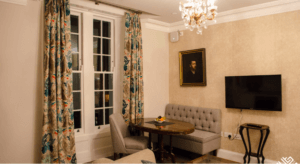 Of course, the main attraction of Bon Vivant is its excellent concierge services. Whether you need a reservation at the hottest new fine dining experience in town, or need luxury travel arrangements, they can help you out. Run by Ana Silva O’Reilly, a successful marketing director for Cushman & Wakefield, this blog takes you on a journey across various luxury travel destinations—from Africa, to Asia, to Europe and more. Beyond that, you can also read more about the best hotels, airlines, vacation homes, and other luxury experiences. Want to know more about the world’s richest people? Born Rich lists them down—complete with their net worth, quick bios, and some interesting trivia. Beyond that, the blog also features some of the world’s most expensive luxury items, from high-tech gadgets to luxury cars and more. Being vegan doesn’t mean you can’t enjoy the finer things in life. 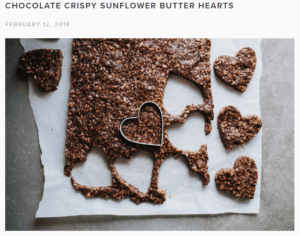 The Green V—a luxury living and travel blog for vegans run by Rachida Brocklehurst—shows you that you can still live a luxurious life while still living a healthy lifestyle. Get restaurant reviews, travel tips, the latest beauty care and a whole lot more. Living a life of luxury isn’t all about travelling to faraway places or eating at the fanciest restaurants—it’s also about pampering yourself and looking your best. 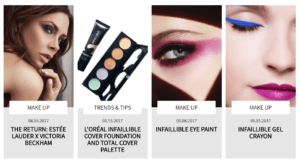 Omorovizca is one of the best blogs that can help you do just that because it primarily focuses on beauty and personal care. Discover the latest luxury body and skin care products; get essential beauty tips; and even book a spa treatment, all in one place! How to swim with whale sharks in the Maldives? Where to join a royal elephant polo tournament in Thailand? How to stay in a Maharajah’s palace at India’s biggest yoga festival? Where to buy a luxury island villa in Koh Samui? How to learn meditation from a Buddhist Lama in Bhutan? Where to go heli-surfing in Bali? How to have a candle-lit private dinner in the ruins of Angkor Wat? Where to go for the best detox, de-stress and health retreats in Asia? Barefoot Luxe tells you the best gems of exclusive leisure and wellness experiences in Asia. It features clever and witty personal travel accounts written and curated by luxury travel & wellness journalist & author Chami Jotisalikorn, with gorgeous professional photography. This blog delivers high-style, off-beat ideas and imagination on best health retreats, special events, unique trips, Best Lists of hotels, spas and best-priced online bookings that make you dream of your next trip to Asia. Featuring a wide variety of recipes, Michelin restaurant guides, interviews, how-to’s, and a whole lot more, Fine Dining Lovers is perfect for those who are looking to expand their gastronomic horizons. If you want to see food in a whole new light, this is one of the best blogs visit. 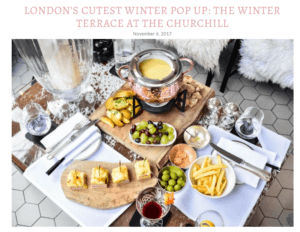 Gourmet Chick, run by Melbourne-based journalist and blogger Cara Waters, is a travel blog that leans heavily on some of the best restaurants in London, Melbourne, and beyond. The best part about Gourmet Chick is that not only does it feature in-depth restaurant reviews, Cara also offers a wide range of recipes. If you’re looking to take your humble abode’s interior design to the next level, the Abigail Ahern blog—whose namesake is one of the world’s most renowned interior designers—is a definite must-visit. Not only can you learn more about interior design, there are also business tips, workshops you can enroll in, and even a gift section. A luxury lifestyle blog made for the modern man, The Metro Man features articles on men’s fashion, travel, luxury gadgets, and more. Moti Ankari, the blogger who runs the site, takes great care in writing his articles—they are well-written, substantial and features professional-looking photos. 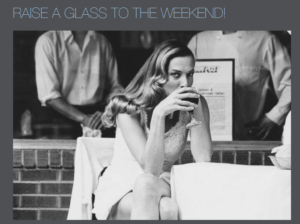 JustLuxe is a one-stop-shop for luxury lifestyle enthusiasts and affluent consumers alike. 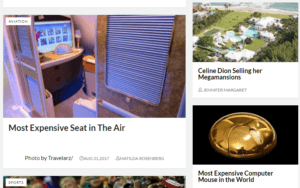 You can read up on a wide array of topics, such as travel; unique epicurean experiences; the latest in luxury autos; the hottest high-end gadgets, and a whole lot more. Its slogan sums up JustLuxe perfectly: All the Luxury in One Place. 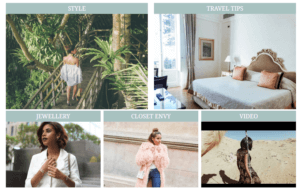 Run by blogger Annabelle Fleur, VivaLuxury started out as a simple fashion blog, but has since branched out into different aspects of luxurious living. Not only can you catch up on the latest fashion trends, you can also find articles on beauty care, travel and even fitness. And if you see an accessory or item of clothing you like that’s featured on the blog, chances are you can find it on VivaLuxury’s online shop. Pursuitist’s “swiss army knife” approach means that—whatever kind of luxury you’re looking for—there’s a good chance you’ll find it here. With tons of articles from contributors around the world, variety is the name of the game here. Read up on style, gadgets, travel, luxury cars, and even arts. Luxury Chronicles is, as its founder Helene LeBlanc puts it, a “collection of musings on luxury, art and fashion.” If you want to get deeper insight into various aspects of luxurious living, from arts to design to fashion and more, this is a good blog to visit. The Cultureur’s slogan—“On the Cusp of Local Culture and Luxury Travel”—perfectly encapsulates what the site is all about. Learn more about travel destinations around the world; get in-depth luxury hotel reviews; and even get luxury gift ideas. 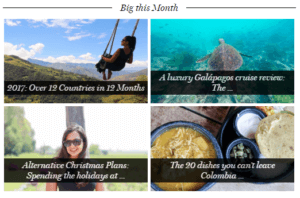 Beyond that, blog owner Nyssa Chopra also offers a luxury concierge service if you want curated travel itineraries. 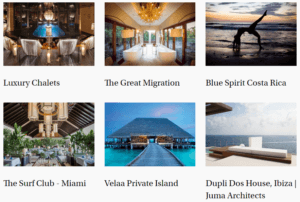 Savoir There, created and run by Jaillan Yehia, is a luxury travel blog that showcases the best travel destinations and experiences around the world. Jaillan’s excellent, in-depth writing makes this stand out from most travel blogs out there. Luxury Columnist, founded and run by blogger Suze Renner, is a luxury lifestyle, travel and fashion blog all rolled into one. If you want to discover unique travel experiences; helpful travel tips; must-visit dining hotspots; and a bevy of other fun and well-written articles, Luxury Columnist is recommended. Founded and run by vlogger Amelia (with the help of several contributors), xameliax is a must-visit blog for its excellent content. Read a variety of articles that span several topics like travel destinations, epicurean experiences, fashion trends, and even fitness. Plus, you can also watch the frequent vlog updates. Fresh & Fearless is all about luxury living. Owner Aftab, who started blogging at age 19, writes about the places he’s been to; the unique epicurean delights he’s had; and more. The articles are well-written, engaging and, thanks to the fantastic layout and professional-looking photographs, a visual feast. 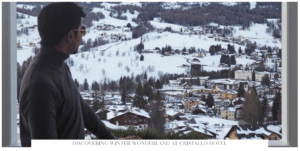 The Wonder List is a blog that curates the latest discoveries in the luxury lifestyle world. The articles featured in the blog reflect founder Charlotte Curtis’ tastes and experiences—like luxurious spa treatments, fine jewelries, exquisite furniture, and more. 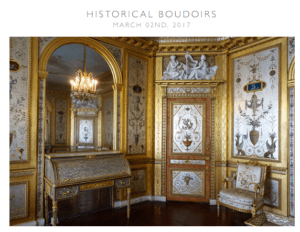 Elle Blonde, founded and run by Laura Dawson, is an eye-catching blog that touches upon various aspects of luxury living. Learn about the latest and best travel destinations, dining experiences, fitness regimens and a whole lot more. 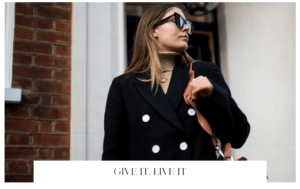 Remie’s Luxury Blog, owned and run by blogger Remie Lund, is a visual delight. What stands out the most are well-written articles with a personal touch, as well as the beautiful layout and large, professional-looking images. 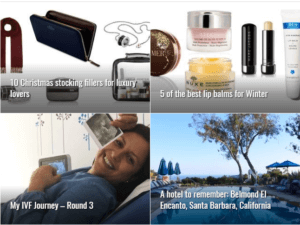 If you’re a fan of travel, food & drink, fitness, and beauty care—or, if you’re simply looking to peruse gift guides—Remi’s Luxury Blog is a must-visit. Elena Segreeva’s Passion for Hospitality blog is all about travel and lifestyle—but, unlike most travel blogs, this one mainly aims its sights at the best hotels you could possibly stay at during your travels. 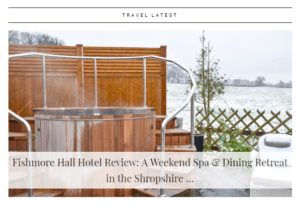 Beyond showcasing hotels, Passion for Hospitality also features the best restaurants from various countries, and she even reviews various tours that you can sign up for. 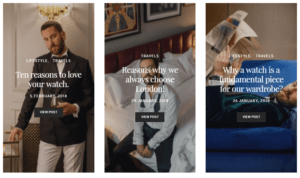 Blogger Charlie Irons only established Man About Town—a luxury lifestyle blog for the modern gentleman—in mid-2016, but has already made significant waves only a year in. Clad in a clean, nearly all-white aesthetic, Man About Town offers a stylish trek through men’s grooming, fashion, unique travel experiences and the most delectable epicurean delights. 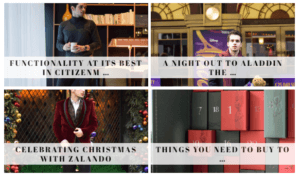 Elef Vogiatzis started out by sharing photos of London sights taken from his iPhone, but he has since grown it into an all-around luxury lifestyle blog for modern men: Elefv. In his blog, he talks about how to pull off certain looks; how to be stylish during winter; which grooming products deserve your attention; and more. For those who travel with kids in tow, Luxury Travel Mom is a must-visit luxury lifestyle blog. Author Kim-Marie Evans specializes in family travel, so you’ll see lots of reviews of hotels and resorts that are perfect for the whole family. Beyond that, she also writes about fashion and motherhood. Run by bloggers Kristen Byass and Mel Zahorujko, The Adeladian is the blog to visit if you’re into beauty care, fashion, food, and arts. Get updates on the latest local or national events; the latest dining spots; the hottest music releases; and newest fashion trends. Founded by Dr. Paul Johnson, A Luxury Travel Blog is perfect for those with a serious case of wanderlust. With the help of hundreds of writers and guest bloggers, articles come in droves—and are quite varied, too. Ever wanted to learn about the best vegan experiences in Bali, or the best hidden gems in Barbados? A Luxury Travel Blog has got you covered! The Simply Luxurious Life, a blog by Shannon Ables, reminds everyone that living a life of luxury doesn’t necessarily mean you have to spend like a king—you can have a fulfilling life even with a modest income. Shannon expertly curates the most interesting experiences and/or products around—such as the latest book releases, recipes, city guides, fashion trends, and more! 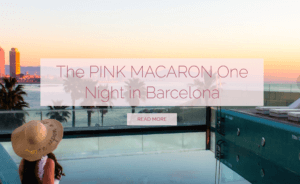 The Pink Macaron blog started when two best friends from Munich began capturing the way they celebrate life through photos and sharing them on Instagram. Now, it’s become a luxury lifestyle blog that any beauty, fashion, food, or travel aficionado can appreciate. Their articles take you on a trip to Spain; let you discover Instagrammable food spots in Munich; and many more. New Yorker Meets London offers exactly what its name suggests: the experiences of a New Yorker in London. Laurie Wang, the blogger behind it, goes a step further though. She also features her travel experiences, hotel reviews, and amazing dishes and food hotspots. Caviar & Cashmere features the best luxury finds in beauty, fashion and other aspects of luxury living. 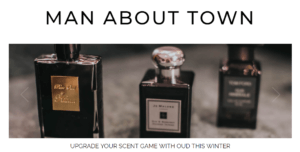 Blogger Caitlyn Chase, a writer/designer with international accolades, showcases fragrances, beauty tips, in-depth features on hotels, and a lot more. 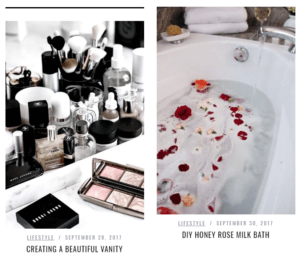 Maggie à la Mode is a collection of 20-something blogger Maggie Zemanek’s fashion and beauty care finds, product reviews, and travel experiences. If you’re a fan of affordable, but quality, make-up and fashion accoutrements, this is a pretty good place to start. 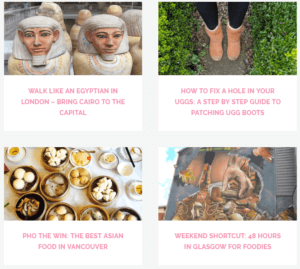 Sofia Clara is a Swiss luxury lifestyle blog that has a strong focus on DIY. Sofia shares her favorite recipes; best décor ideas; DIY clothes; and even her personal experiences via the “A Peek at My Week” series. It’s a charming blog, that’s for sure! Jersey Girl is a celebration of everything Jersey, located in the Channel Islands, UK, has to offer. 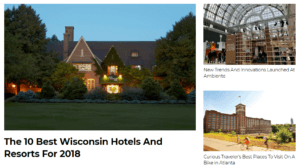 Blogger Melissa writes about the best travel hotspots, epicurean experiences, and even the most recommended hotels and/or accommodations. If you want to visit Jersey, this is a good place to start your research! Kiersten, a California native who left her corporate career to travel the world, created The Blonde Abroad to share her experiences with everyone. Ever since leaving the corporate world behind, she has since traveled to over 66 countries across 6 continents—and you can read all about her globe-trotting adventures in her blog. Beyond that, she also shares travel tips, cool activities (like diving in Mozambique), the hottest festivals, and even the most delectable dishes she has come across. London-based blogger Reena, the author behind The Lifestyle Enthusiast, is a foodie with a serious case of wanderlust. Not only does she frequently write about the places she’s been to, she also makes sure to tell you the best places to eat or the best hotels to check in to. And did I mention that her blog is a visual feast, as well? Chile-based Gloria Apara has always had a passion for travel and exploring the world since she was a child. She was never contented with her job as a physical therapist, so she sold all her stuff and started roaming the world. She also created a blog, the Nomadic Chica, where she shares her unique experiences—from exploring various countries (like Argentina, Brazil, Chile and Netherlands), to reviewing airlines, restaurants and hotels. 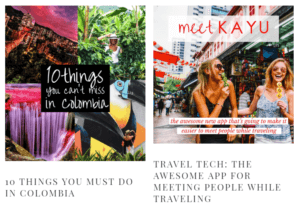 On top of that, Nomadic Chica also offers travel tips and health articles, making it a pretty well-rounded luxury lifestyle blog. Vanilla Sky Dreaming, an award-winning luxury travel blog by Hofit Kim Cohen, is a travel-bug’s dream. 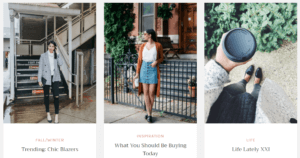 Peppered with dollops of beautiful photographs and well-written, in-depth articles, it’s a must-visit blog if you’re looking to learn more about things like must-visit destinations in the US; cultural events in London; and even beauty and travel tips. Royal Fashionist, founded by Marcos de Andrade, is a luxury lifestyle blog exclusively for men. Learn about the best hair products; the latest style trends; the latest diet and exercise regimens; the hottest tech; and more. The Luxury Editor is perfect for discerning travelers—or those who are simply looking for unique experiences. They review hotels from all over; feature Michelin-starred restaurants; and even showcase luxury products that stylish people would love. 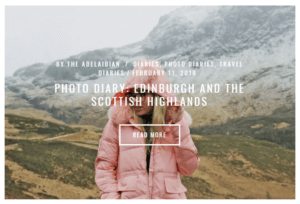 I am Ella is a lifestyle and travel blog by London-based blogger Ella Dvornik. In Ella’s domain, it’s all about her personal taste in fashion and beauty care, in addition, of course, to the crux of the I am Ella experience: travel stories. She’s been to countless countries—from Amsterdam to Copenhagen and beyond—and she makes sure to share every juicy detail about her adventures. Flying the Nest is not your run-of-the-mill luxury travel blog—it’s run by a couple that has left everything back in their native Australia to travel the globe and experience its many wonders. Join them as they tell you all about their adventures in the Amazon jungle; their island-hopping experience in Greece; or their numerous travel tips and hotel recommendations. 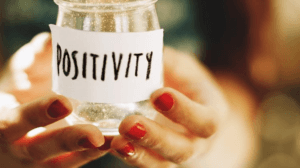 Gabriella Manchester began as a simple only diary where blogger and owner Gabriella can share her experiences, but has since become much bigger than she had anticipated. Of course, this is still her space where she can share her travel experiences; the epicurean experiences she chances upon along the way; and even her unique personal style—just in a bigger, more professional package. Equestrian Lifestyle is a luxury lifestyle blog with an equestrian twist. 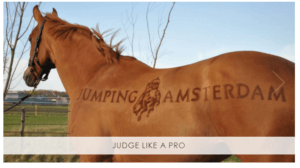 The blog showcases products and fashion items fit for horse-lovers—while also throwing in some travel articles and updates on events into the mix. Chicago-based blogger Shaheen Khan isn’t shy about using common, everyday pieces with luxury items—which she showcases in her blog Lows to Luxe. To her credit, she effortlessly pulls it off! 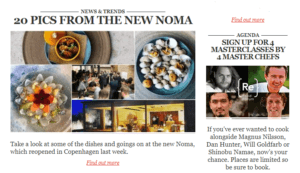 On top of the fashion articles, Lows to Luxe also dips its toes into travel, interior design, and even food. The Lifestyle Diaries is a collection of author Lauren Hudson’s nomadic—not to mention gastronomic—adventures around the world. Join her as she explores various countries; discovers delectable delicacies; and tells you all about the London life. 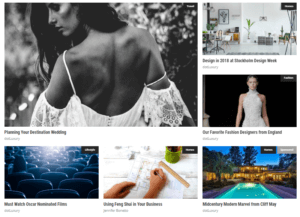 Posh, Broke, & Bored is a luxury lifestyle blog that stands out not just for its excellent, well-written content, but also for its keen eye on design and photography—thanks to author Jasmine Yip’s background in visual arts and design. Accompanied by tons of photographs, her articles feel like they belong on a high-end magazine—they are simply a joy to peruse. You’ll spend hours reading about her travels; the hottest food destinations she’s uncovered; and even her latest fashion finds. 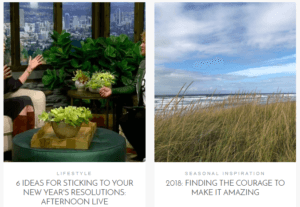 Becky van Dijk isn’t your run-of-the-mill luxury travel and lifestyle blog—author Becky also encourages travelers to visit eco-friendly locations. Beyond that, the blog also showcases budget travel destinations alongside luxury destinations, as well as boutique hotels and must-visit restaurants. A former high-fashion model would probably one of the last people you’d imagine as a huge foodie, but Aiste Miseviciute certainly goes against the stereotype. 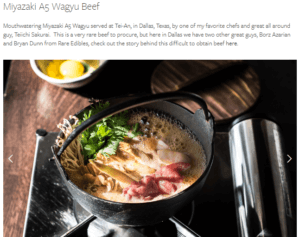 Her blog, Luxeat, takes you on a gastronomic adventure around the world—from a ryokan in Tokyo, to a restaurant in Barcelona that specializes in molecular cooking, and beyond. Cuban-born blogger Manny Rodriguez combined two of his passions—food and photography—and created gastroFOTOnomia. 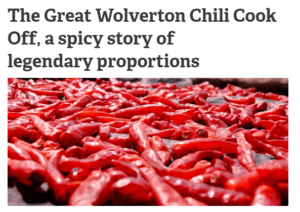 Expect incredible photos of food; featurettes on chefs; recipes; and more. Sprouted Kitchen is the brainchild of huge foodie Sara Forte. With the help of her husband, Hugh—who is responsible for taking the exquisite photos you see on the site—they produce some of the finest content there is. If you want to learn how to take your cooking to the next level, Sprouted Kitchen has tons of recipes for you. Plus, they also feature a few gift guides every now and then. Homes of the Rich, as you might have already guessed, is all about houses that only those with dispensable income can afford. This is the place to be if you are on the hunt for a luxury abode. They feature celebrity mansions, waterfront homes, historic homes, and even condos. Plus, they also showcase contractors that can help you build your dream home. If you’re looking for interior design inspiration for your luxury home, Interior Style Hunter is a must-visit blog. Not only do they showcase the very best and latest luxury interior design trends, they also features the best interior design brands. Beyond that, Interior Style Hunter also allows you to find a designer for your project. 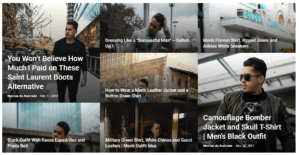 Man of Many is an all-around luxury lifestyle blog where topics are especially curated to appeal to its main audience: men. 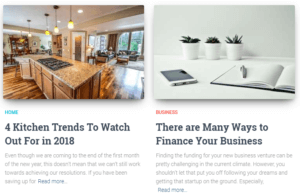 The blog showcases the newest trends in men’s fashion; the hottest tech; the latest in fitness; the most must-visit food spots; and many more. La Jolla Mom, owned and run by freelance lifestyle and luxury travel writer Katie Dillion, is all about luxury travel and lifestyle—with a slight San Diego-La Jolla slant. She offers well-written travel guides about La Jolla and San Diego where she tells you about must-visit spots or must-stay-at hotels. In addition, she also features other destinations around the world, like Hong Kong or London. Beyond the travel and lifestyle articles, La Jolla Mom also showcases fun activities you can do together with your kids. Eat Cook Explore is a food and travel blog for those who love discovering new places and new gastronomical adventures. Get restaurant and hotel reviews; explore destinations around the world; and even learn new recipes. Executive Style, Australia’s own all-around luxury lifestyle blog for the modern man, offers something for everyone. Whether you’re into the latest fashion trends, luxury cars, fitness, watches, food, or tech, Executive Style’s got you covered. Fabulously Chic Over 50, by 50-something blogger Jonet Wooten, is a luxury fashion and lifestyle blog for women over the age of 50. 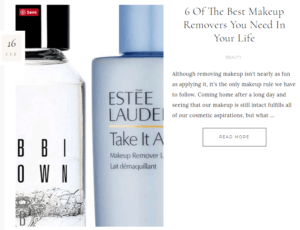 The blog features fashion and beauty care items that any woman over 50 would love—plus, there are numerous hotel and restaurant reviews on tap, as well. And if you like any of the featured fashion items on the blog, you can buy them directly at Fabulously Chic Over 50’s online shop. PIERREBLAKE is a luxury lifestyle blog for those who are into travelling and discovering the best epicurean experiences the world has to offer. 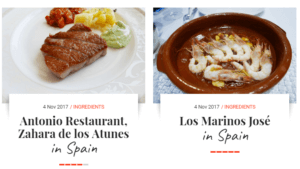 Blogger Pierre goes around the world and provides in-depth reviews of the hotels and restaurants he’s been to. Plus, he also provides several nuggets of wisdom and insight via well-written editorials. Don’t let the blog name fool you—Wine Press Girl isn’t just about wines. There experience is built around wine, yes—which makes sense given author Ireti-Elizabeth Akinroyeje’s WSET certification—but you can also find out about food; restaurants and bars; and recipes. There’s also several travel and fitness articles thrown in for good measure, too. 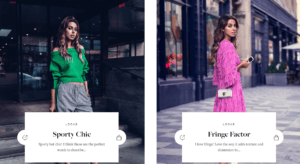 Founded by Nadya Hasan, one of the most influential bloggers in UAE, The Fierce Diaries focuses mainly on luxury travel experiences, fashion, and beauty. The high-quality editorials, classy aesthetic and professional photos are some of the main highlights of this blog. Plus, these are Nadya’s own experiences and thoughts, which makes the blog even more special. NIALOGIQUE, by Victoria, BC-based blogger Nia, is all about beauty care and fashion. 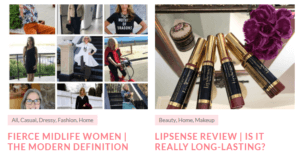 If you want to learn what the best luxury makeup products are, or what stylish boots you can rock throughout the winter, this is one of the best blogs you can visit. Filled with large, professional-quality photos, the magazine-like aesthetic of Ape to Gentleman makes it an absolute delight to peruse. A blog for the modern man, it offers articles on a wide array of topics—from featuring the latest Lamborghini to the best skincare products. They also feature tech, watches, and several gift guides. Run by Callum Watt and Anton Welcome, Maketh-the-Man is a wonderfully crafted blog for the modern gentleman. The well-rounded approach alone makes it a must-visit for just about any guy out there. Whether it’s the hottest new smartphone or the latest skincare product—or even the newest fashion trends—Maketh-the-Man has got it covered. Life of an It-Girl is a luxury lifestyle blog that isn’t just about women’s fashion, beauty care and travel like most blogs—there’s also a section dedicated entirely to men, as well. Get news on the latest fashion and make-up trends; the hottest luxury destinations; and even the best luxury “toys” for men (such as motorcycles, yachts and the like). 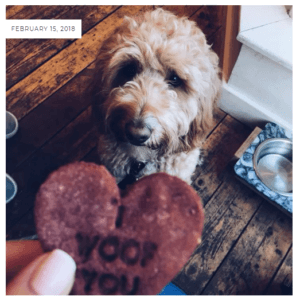 Two Men About Town, the creation of two blogger friends, is a celebration of food, lifestyle, gadgets and events in and around Milton Keynes and London. Ever wanted to learn which pub or restaurants are must-visit haunts in London? How about the latest iPhone—is it worth it? Two Men About Town can answer these questions and more! 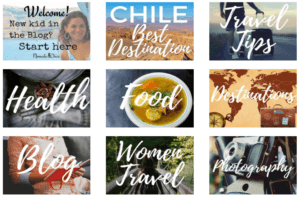 Tamala Prickett, freelance author of the Chic Family Travels blog, loves traveling the world with her family of 5 and sharing her adventure stories via her blog. She talks about, of course, travel destinations fit for a family with kids in tow—like the Disney European cruise, for example. Beyond that, she also talks about the delicacies they’ve sampled in their journeys; the flights they’ve been on and how it fared; hotel reviews; travel fashion; and more. Mainly focusing on luxury fashion for men, The Gentleman Blogger offers up meaty articles packed with professional-grade photographs. Matthew Zorpas, the man behind the blog, not only reveals just how much of a stylistic gentleman he is with every post—he also throws in articles on travel, luxury cars, and lifestyle for good measure. The Coolector is perfect for men who are looking luxury toys that can enhance their day-to-day living. Learn more about the newest fine watches, ebikes, unique clothing, gadgets, luxury cars, and more. Running in Lavender is a family-oriented lifestyle blog run by blogger Heledd. It has a more personal slant than most of its ilk as Heledd shares her family’s travel adventures online—which makes it much more charming than the rest. Beyond that, she also shares her latest beauty care finds; cool interior design ideas; and even delicious recipes. 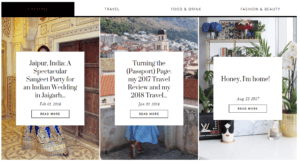 With Husband in Tow is a luxury travel blog that is all about discovering new travel destinations and the various epicurean delights each location offers. 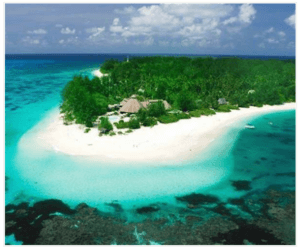 Join husband and wife bloggers Amber and Eric as they spend a week of luxury in Mauritius; go on a culinary adventure in Hong Kong; and many more. The Foodaholic’s slogan sums up what this blog is about pretty well: “A blog dedicated to the best in food and travel.” If you wanted to learn more about the best restaurants, hotels, and travel destinations all in one place, The Foodaholic is as good as it gets.